J.Crew’s fall rollout has begun and they updated their website last night with new arrivals. Most of it is expected basics, but there are a few interesting gems: a denim western shirt, copies of Take Ivy, printed Hill-Side pocket squares, and socks from Saint James. The footwear lineup is also becoming more impressive, with new models from Alden and Russell Moccasins. 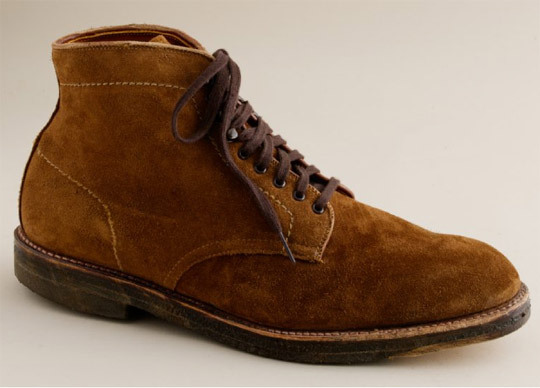 Except for the crepe soles, these remind me a bit of the roughout boots worn by some servicemen during WW2.